A tax free service by the Global Blue company is again available on the trains between Helsinki and St. Petersburg as of January 5, 2017. 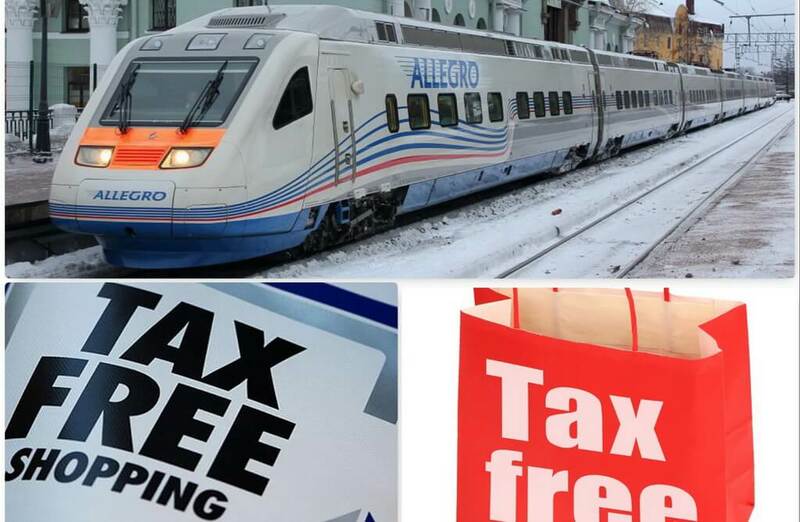 Till the date, only Finland-focused e-Taxfree’s refund was provided on the Allegro and Leo Tolstoy. All non-EU citizens who purchased goods in an EU country are eligible to a refund of value-added tax (VAT) upon their leaving the country. A saved sum in case of Finland ordinarily is about 10%. You can get your refund in cash or have it deposited on your credit card just during your pleasant journey by train from Helsinki to St. Petersburg or Moscow (the Leo Tolstoy connects Helsinki and Moscow via St. Petersburg). A refund company’s employee visits you when the train is going between Kouvola and Vainikkala stations. You have to present your tax free goods with fiscal documents (receipts) to get the money back. — The recently established Finland’s e-Taxfree (www.e-taxfree.com), now available only in Finland. — The Global Blue (www.globalblue.com). Please, do not forget to read the rules and recommendations on the company’s website you choose for tax free as there is a lot of details in regulations. From the early 2018 on, a tax system will be implemented in Russia.